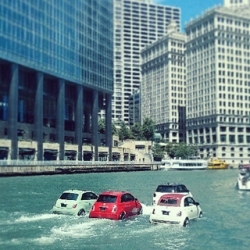 Onlookers along the Chicago River couldn’t believe their eyes on Sunday afternoon when a fleet of little red, cream, and mint colored Fiats appeared to be driving on the river! 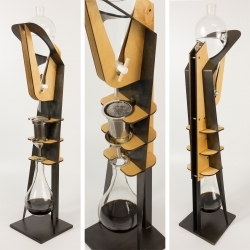 Coffee Extract Tower by Kitbashive - expands cold coffee brewing into a sculptural performance. 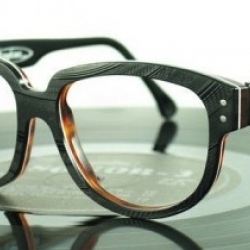 Vinylize upcycles old vinyl records into some really amazing and unique eyewear. 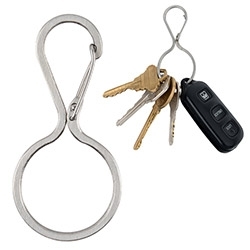 Not just for music lovers. 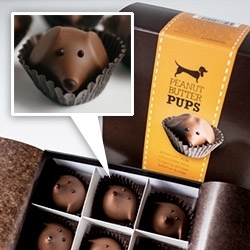 Gearharts adorable Peanut Butter Pups - premium milk chocolate and Virginia artisan peanut butter decorated with a dark chocolate face and toasted almond ears. 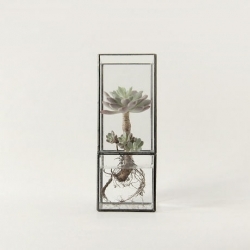 Beautiful cacti terrariums from [ 10¹² ] TERRA. 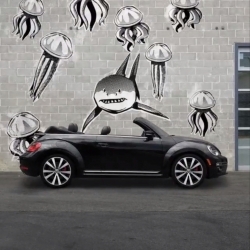 Shark Week starts tomorrow and to celebrate VW posted a Instagram video featuring the Beetle Convertible and a hungry shark. 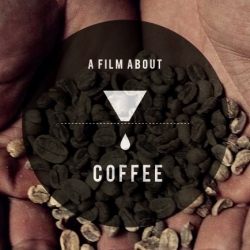 "A Film About Coffee" Trailer... Showing what coffee can be - a true art form. 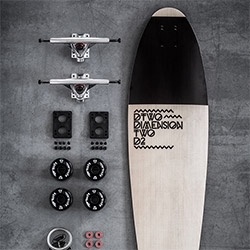 DTWO(Dimension Two) is a longboard company from Slovenia. The artistic longboards are beautifully crafted by a group of friends composed by craftsmen and artists. 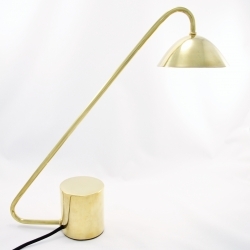 New, solid brass, hand made LED lighting from DAMM! 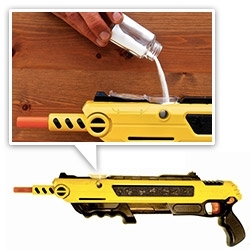 Bug-A-Salt gun ~ fill it with table salt, and obliterate flies, mosquitos, etc effectively up to 3ft away? 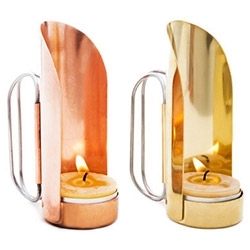 Babula, the table lamp inspired by the Russian Matryoshka doll designed by the German studio Krools. 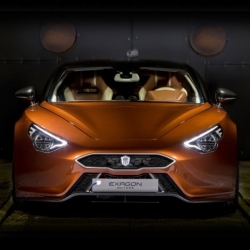 The Furtive-eGT is France's own hypercar. This e-powered 2+2 seater is not just a beautiful pieces of work, but also an innovative way of engineering a car. 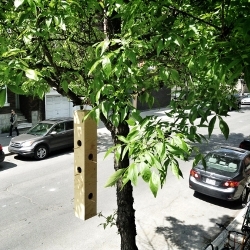 Cond'oiseaux are condominiums for birds. 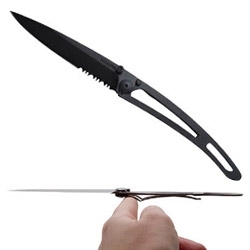 Designed by igluSTUDIO. 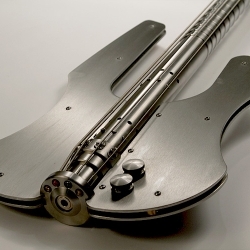 Stash Stainless Bass - The only bass guitar that is made from stainless steel with unified frets and a tubular neck design. The only disadvantage of this bass is a rockstar can't smash it on stage! 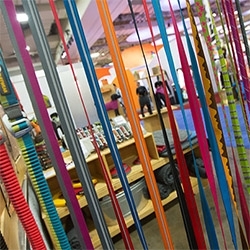 FEATUREDOutdoor Retailer Show Summer '13 is filled with designer inspiration! 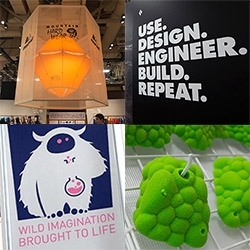 From lots of large texty motivation, to great logos/branding, fun products and unexpected booth displays and more! 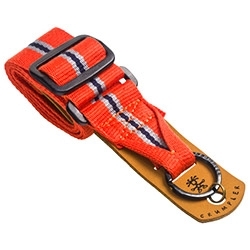 FEATUREDRuffwear (one of our favorite dog brands!) had quite the woody booth at Outdoor Retailer. 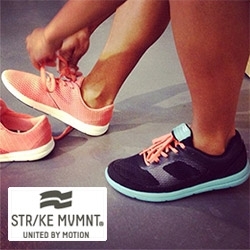 Take a peek at the dog mannequins, new colors/patterns, hardware details, and a peek at new products to come! 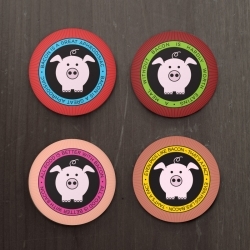 Bring a flavor of bacon to your next poker game with PO(R)KER CHIPS. 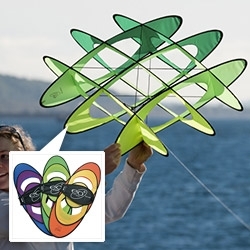 Prism Kites EO-6 (EO = Expandable Object) The original brainchild of Phil McConnachie, the EOs are dynamic box kites that soar like a traditional single-liner, or with a tug on the line they become playful tumblers with a fascinating range of tricks. 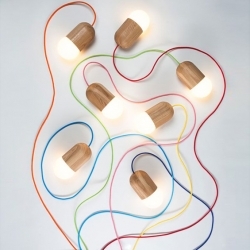 'Light Bean' pendant lamps by Russian designer Katerina Kopytina. 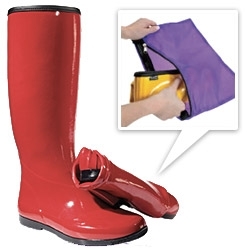 FEATUREDButler Overboots for kids ~ adorable branding/packaging (penguin logo!) 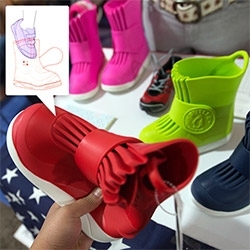 and these overboots are soft and pliable but ready to take on snow, rain, etc and slip on right over your kids' shoes! 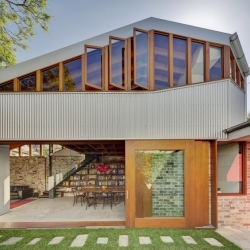 'Cowshed House' by Carterwilliamson Architects in Sydney, Australia. 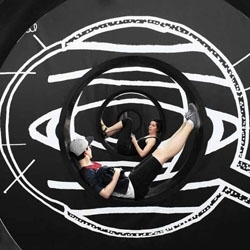 A multi-panel interactive installation titled 'Memory Gaps' by Montreal-based design firm Paprika, plays with your mind as you play with it, at the Aires Libres event in Montreal. 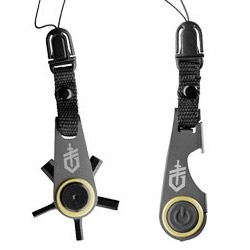 We're living in the digital age and maybe it's time to remember some good old tools, that worked for hundreds of years perfectly. 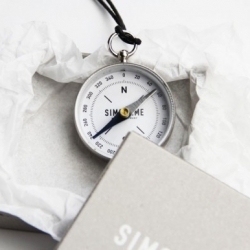 Like this awesome compass by Berlin based SIMON&ME. 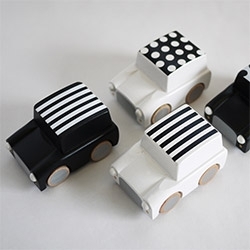 Get on the analogue track! 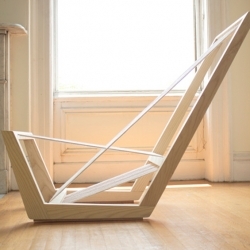 'The Single Cord Lounge' by American designer Josh Shiau. 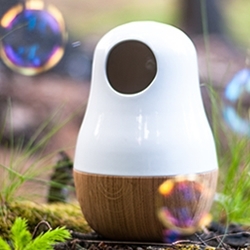 VIDEOWhy Not Hand Over a “Shelter” to Hermit Crabs? 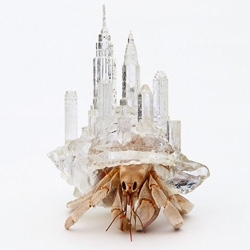 from artist Aki Inomata is a series of 3D printed crab shells that have designed with buildings and cityscapes on them. 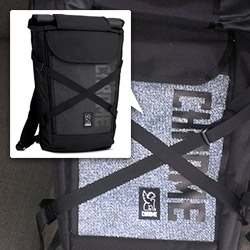 Chrome's Bravo Night Ultimate Urban Rolltop with 3M reflective panel looks intense when flashed. 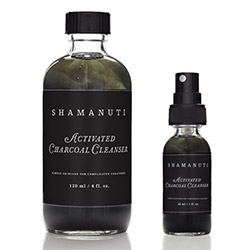 Shamunti's Activated Charcoal Cleanser... "This unique cleanser utilizes the properties of activated charcoal to neutralize acidity and absorb impurities as well as to gently exfoliate the skin with maple extract." 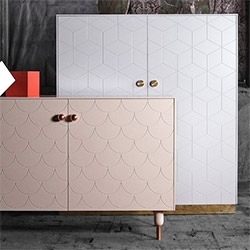 Superfront ~ it is hard to believe that these stunning furniture pieces are facades on IKEA shelving. Superfront sells front and side panels, legs, and handles to help you transform your IKEA pieces into so much more. 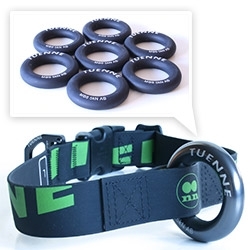 The Tuenne O Ring made of anodized 6061 aluminum on the Dragonfly and Mammoth Dog Collars are a nice detail. 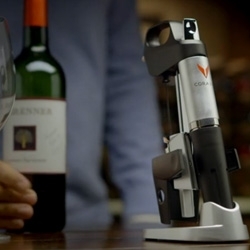 VIDEOThe Coravin System is a device that allows you to pour wine from a corked bottle without oxygen getting in. 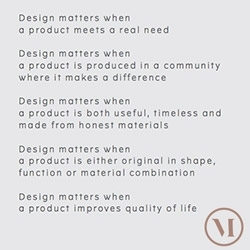 Menu design gives us a sneak peek into their new look, philosophy, manifesto, and more... and it's beautiful and worth a read! 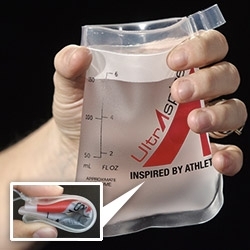 BioLite KettlePot is coming in Fall '13. 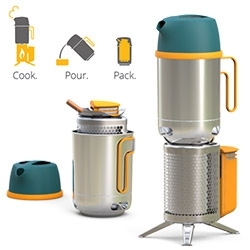 "Pours like a kettle, cooks like a pot" and the CampStove nests right into the pot for easy packing! 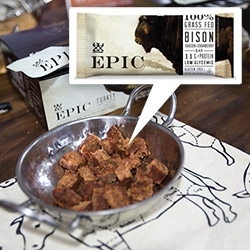 FEATUREDInspiration: San Diego! 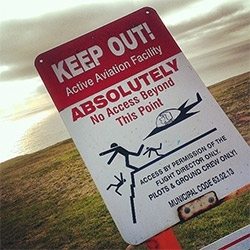 From glider port warning signs to giant inflatables to comic-con maddness and stunning views... and so much more. 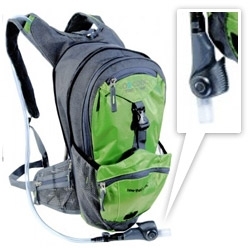 O2 Cool launches the Mist N Sip 3L Hydration Backpack ~ built in to the sippable nozzle of the hydration pack is a mister! My Camp Kitchen ~ Mini Chef! 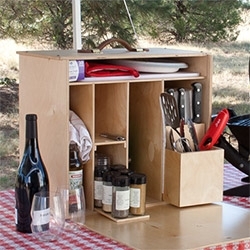 Everything you need can fit into a simple set up made of 9 mm Baltic birch plywood that opens up like your kitchen next to your grill! 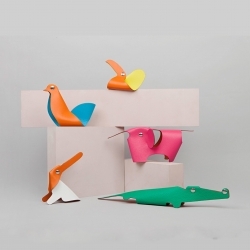 Clickazoo is a colorful collection of foldable leather animals from Hermès, developed by Swiss designer Adrien Rovero Studio. 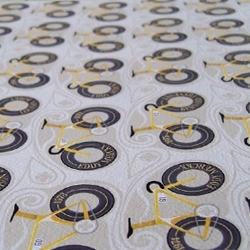 An exclusive Giclee print to celebrate the centenary of the Tour De France. 'Vive Le Tour.' marks each tour winner's place in history. From Maurice Garin in 1903 to 2013's Chris Froome.